These Salesforce user tips are things I have noticed over the years as a Salesforce Administrator. No matter what area of Salesforce you use, no matter what staff level you are, entry all the way to CXO, you can utilise Salesforce further than you might think to make your life easier and reveal statistics that may help you exceed in the future. Some of you may have been trained up to some extent by your Administrator but it does require some self learning to really take advantage of these. Hopefully this guide will give you an insight into some of the areas you can explore a bit more. All the things mentioned are not difficult to learn and the resources out there are plentiful, YouTube, blogs, Salesforce documentation and some concise guides by myself. These areas below will all be provided to you on some sort of basis by your Salesforce Administrator. e.g. Sales Reports/Dashboards or List views for Opportunities that are closing this week. The point that I want to try and get across is that they cannot know what is right for you individually, slight tweaks to some List views or Reports may help you work more efficiently and find those hot prospects or cases that can easily be closed off that you would of looked over before. Whatever you use Salesforce for I’m 99% sure you are going to be spending most of your time looking at various list views. Whether it’s a list of Opportunities closing this week, today’s leads that have come in from your website or a list of your cases that are currently open, you’re probably going to be dealing with these on a day to day basis. Now its likely that more inexperienced Salesforce users are probably going to be quite content with the standard list views Salesforce provides or the ones that their administrators give them, however, you know better. Only you, the user are going to know the most effective way for you to work individually with your company. Whether its using multiple specific list views that you can switch between to get the information that’s most relevant to you, or using a broader single list view which is listed in a specific way you should decide. To find out more about how to create list views see my post here. 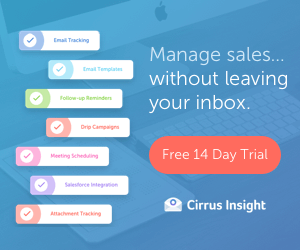 If your company is an active user of Salesforce and has it fully integrated into all your business processes, their is a good chance you would have come across email templates. In a similar fashion to List views, you probably have some standard templates with a bit of mail merge functionality mixed in to make your life easier e.g. standard Lead responses or introduction emails to new Accounts. What a lot of people don’t know is that you can quite easily create personal templates for yourself. If you have a certain personal way you like to address Leads and find yourself typing the same message multiple times a day, having to remember bits of information from an account to personalise the email then personal email templates are for you! If you would like to create your own email templates then read a bit more about them here. If you are unfamiliar with Salesforce Reports, you have to get aquatinted with them. If you’re like me and love stats (sigh), theres no better way to get those statistics out of Salesforce than reports. Similarly to List views you will probably have a few reports your managers or administrators have created for you to show information. Common reports could be, My Opportunities closed for this month, Cases closed per agent month, Quarterly sales across the business. These types of reports can easily be created in a matter of minutes even with a pretty chart added! For those that have looked at reports before and have got scared off, I’m not surprised, it can be a bit overwhelming at first, but trust me they are extremely easy and intuitive to use. Reports have a bunch of uses which really depends on what you are interested in doing, here are a few ideas. Finding out which cases take you the longest to close, could potentially motivate you to train up in a particular area. Find out your strengths and weaknesses in who you are selling to, which industries etc. Compare yourself to others in the company to see where you come in terms of Sales or Service. All of these can be built in a matter of minutes. If you would like to find out about creating personal reports for yourself then read more here. So a natural follow up to Reports is Dashboards. Dashboards are visual representations of reports, you can have up to 20 charts, tables or lists. Each one of these is called a component and can be arranged how you like. Each component can only relate to one report. Personal dashboards are a great way to look at custom information that only concerns you as an individual. It’s fine just using the standard Dashboards that your administrators or managers have made, but I’m sure you can do a better job of creating custom Dashboards that give you the information you need. They are especially useful if you have got to grips with reports and just want to quickly glance at your statistics. Once you’ve mastered Reports, dashboards are a drag and drop breeze so check them out here. A lot of users I’ve spoken to don’t even know what the AppExchange is. The way I usually explain it is that its like the App Store for iPhones. 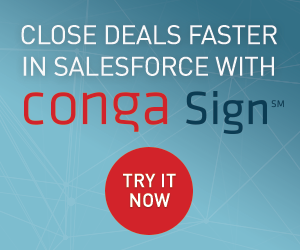 You can install free and paid App’s into your Salesforce Org that can provide extra functionality. When I worked as an administrator, it was always something I would check out on a weekly basis to see if there was anything that could make mine or the users lives easier. App’s range from simple free programs that install some pre built Dashboards into your system to seriously clever and huge apps like FinancialForce (Cloud Accountancy Software). As users you are going to be able to see the benefit in some of these apps straight away, while an administrator might not know the ins and outs of your day to day job and therefore might overlook some. It’s always worth checking it out and if its a very simple app that could make your life a lot easier then I’m sure an administrator would have no hesitation installing it. If you’re stopping by be sure to check out Conga Composer, I’m slightly biased as I work for them! But they wouldn’t have reached No1 on the AppExchange without having an amazing product! 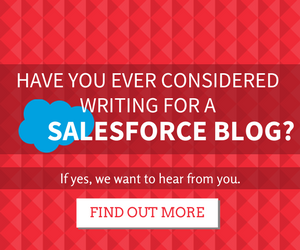 This post clearly explains about salesforce user tips. An entry level salesfroce user also can be able to understand and work with saleforce platform. Most of beginner saleforce user they will use only administrator recommends or salesforce default functions, Author give useful tips about Create list views, create email templates, learn reports, create dashboard and check out app exchange . There seems to be a type in your second bullet: Create Email Templates. I come from many years of proof reading, as a print sales manager. A client was always thankful when we found them prior to printing. Fortunately in web, it’s an easy fix. Last paragraph, would of should be would’ve or would have. Great product. Keep it coming. Great Insight as always! Thanks Ben. Ahh this is great thank you for writing this! I’ve been looking to upgrade our office with some snazzy CRM software for a while now and after reading this and a few similar articles I’m actually pretty sold on Salesforce now! It just sounds like it’s really easy to use and manage which is perfect for me because I’m the first to admit I’m not exactly the most tech savvy person in the world. I was just wondering though what is best to start with? From what I can gather there’s different products on offer (please correct me if I’m wrong on any of this) and I’m not sure what it’s best to start with? My business is relatively small and I’m not sure which software to purchase to start off with? I don’t want to invest in implementing a load of expensive tools when I’m not going to use half of it? What would people recommend as a starter kit so to speak? I came across a site that was saying you could imoleemtn a ‘basic package’ (https://purusconsultants.com/salesforce-implementation/) is that the type of thing that people would recommedn getting? This is my first time looking at Salesforce and CRM tools so excuse my density on the whole thing! I’d like to get it up and running asap so any pieces of advice or insight would be very much appreciated! Thanks everyone!